Guangzhou Baiyun International Airport, the third busiest in China, opened its second terminal building in April as it targets 100 million passengers by 2025. 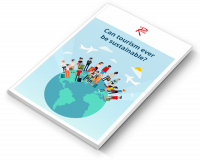 Ahead of World Routes 2018, which is taking place in Guangzhou, Routesonline looks at some of the facts and figures shaping the city’s domestic and international market. The data is supplied by OAG using its OAG Schedules Analyser tool. Routesonline’s analysis of published schedules for the past ten years shows that domestic capacity from Guangzhou jumped from 18.7 million departure seats in 2008 to more than 30 million in 2017. 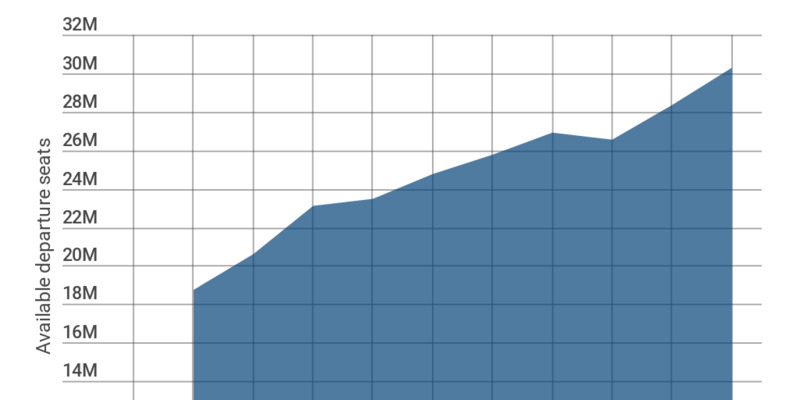 This represents growth of 62 percent over the period. In the last calendar year, domestic capacity rose by 6.9 percent after adding almost two million available departure seats. According to figures provided by OAG Schedules Analyser, growth has slowed this year but is nevertheless expected to nudge up by 0.2 percent. 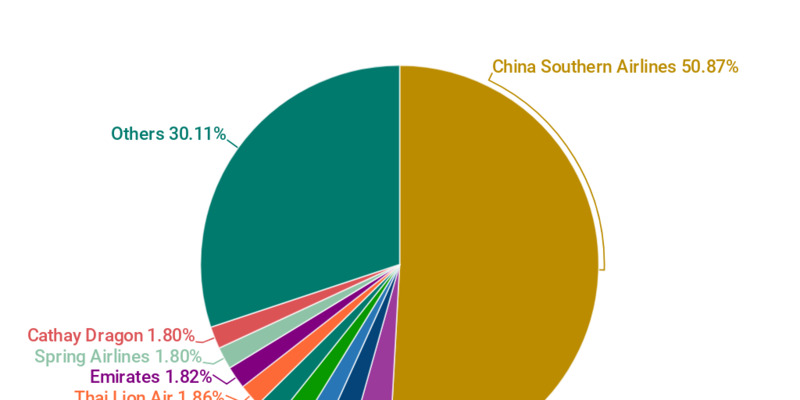 There were 105 domestic connections from Guangzhou during the first six months of 2018, with 88,213 flight departures. Shanghai Hongqiao accounted for the largest number of departures at 6,263 - or 7.1 percent of the total - but the most capacity was deployed on flights to Beijing Capital. 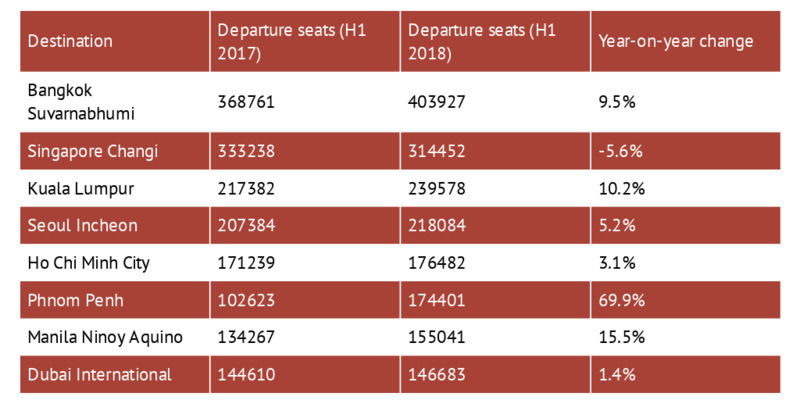 In total, there were 1,474,516 available departure seats on services to PEK in the first-half of the year, up by 4.4 percent compared with the same period a year ago. Of the top ten domestic routes by capacity, seven routes enjoyed increases during the six months to 30 June 2018. China Southern Airlines provided more than seven million seats during the first-half of 2018 across 41,413 scheduled domestic flight departures. 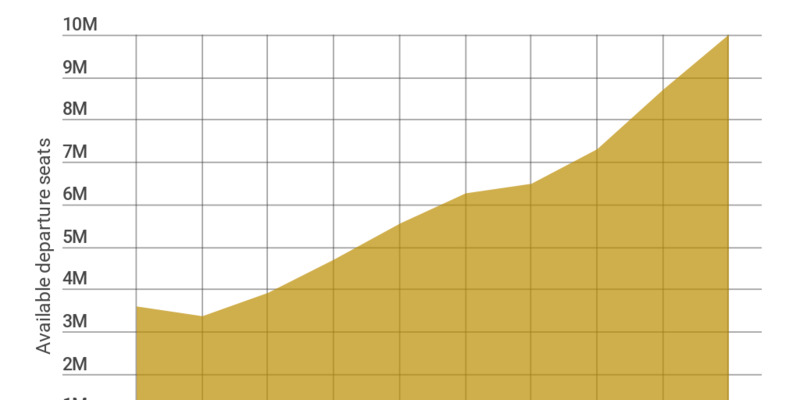 The total is a 4.1 percent increase on the number offered during the same period a year earlier. Air China leapfrogged China Eastern Airlines as the second-largest carrier by capacity, adding more than 126,000 seats compared with the first six months of 2017. Only two airlines in the top ten - Shenzhen Airlines and Beijing Capital Airlines - reduced their total capacity on domestic routes. According to figures provided by OAG Schedules Analyser, 24 carriers offered flights to Chinese destinations from Guangzhou. Among those is GX Airlines, a new carrier to operate from the airport. Hear from Tan Wan Geng, the president and CEO of China Southern, at World Routes 2018 in Guangzhou. The total number of international departure seats from Guangzhou has surged by 177 percent over the past decade to reach almost ten million in 2017. During the first six months of 2018 there were 5.2 million available seats and figures suggest the airport is on course to top the 10.7 million mark for the full year. Year-on-year growth from 2016 to 2017 was 14.7 percent and growth of about 8 percent is expected this year. 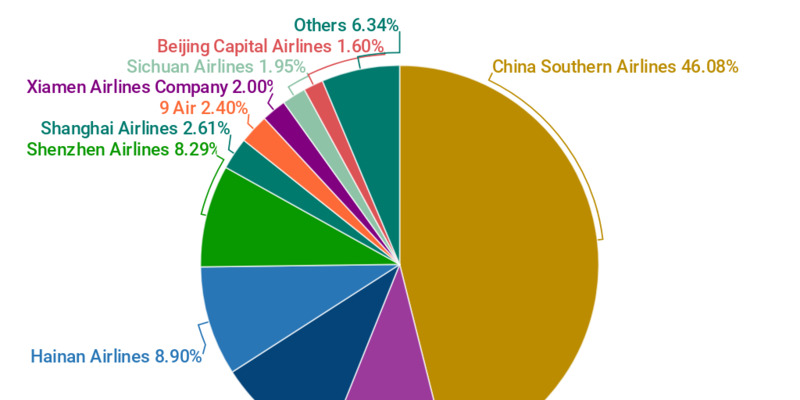 Guangzhou was connected to 75 international destinations during H1 2018 across 24,468 flight departures. The most capacity was deployed on services to Bangkok Suvarnabhumi, which is served by five airlines. 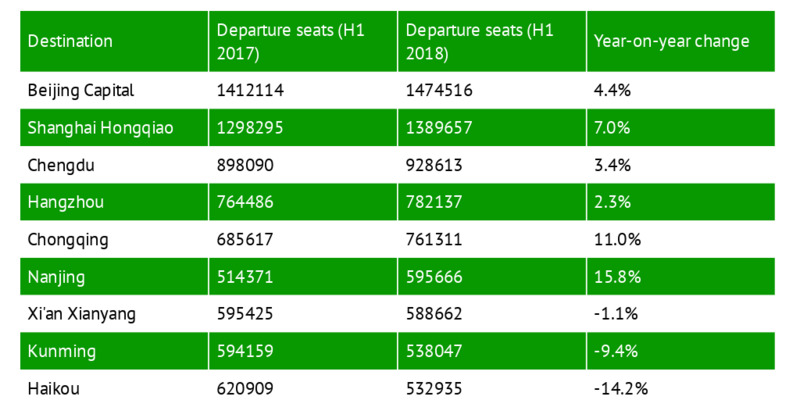 In total there were 403,927 available departure seats on services to BKK in the first-half of the year, up by 9.5 percent compared with the same period a year ago. Of the top ten domestic routes by capacity, eight enjoyed increases during the six months to 30 June 2018. The fastest-growing route was to Phnom Penh in Cambodia, with available capacity jumping by almost 70 percent to 174,401 seats. Fifty-six airlines offered scheduled international departure seats from Guangzhou during the first-half of 2018, offering a combined 5.2 million seats. The lion’s share were on home carrier China Southern, which accounted for 50.8 percent of all seats available. Its total of 2,646,375 was a 3.1 percent increase on H1 2017. Among the top ten airlines by capacity, Scoot (39.5 percent), Thai Lion Air (93.2 percent) and Spring Airlines (101.2 percent) all reported large increases in departure seats. Since the end of the first-half, Scoot has opened reservation for a third daily flight to Singapore, while Spring Airlines has introduced its first service to Thailand. It now operates Guangzhou – Chiang Mai three times per week. World Routes 2018 will be hosted by Guangdong Airport Authority, the owner of Baiyun International Airport. The event will bring together airlines, airports and destinations to plan and negotiate future air services. Guangzhou has been an important trade centre for 2,000 years due to its strategic position near the South China Sea. 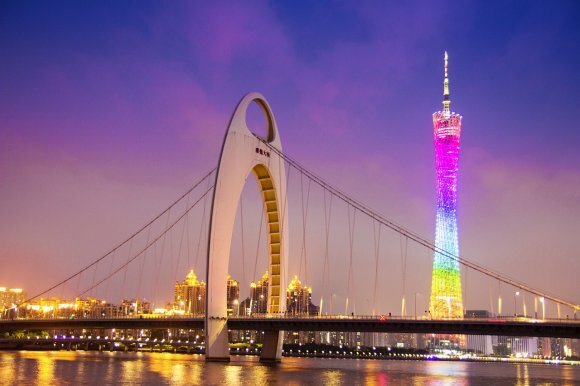 Its economic strength has helped the Guangdong province to maintain its status as the richest province in China for the last three decades.